If you’re visiting Georgia for a short period of time and want to explore as much as you can – this 4 Day Tour to Georgia is the perfect fit for you. We’ve designed this itinerary to maximize your adventures at a comfortable pace. A lot of people visit this beautiful country to get a Taste of Georgia. When you’re traveling for a short period of time, it is very important to plan in advance so you can make the most out of your short stay. Georgia 4 Day Tour – Taste of Georgia is designed to do exactly this. On this trip you will visit the most interesting and popular sights in Georgia. The two capitals of Georgia – Tbilisi and Mtskheta. The Cradle of Wine – Kakheti, where you will have a delicious day trying the best of the local wines and delicacies. See the breathtaking Caucasus mountain range as we head up to take a look at the one of the biggest mountains in Georgia – Kazbegi. 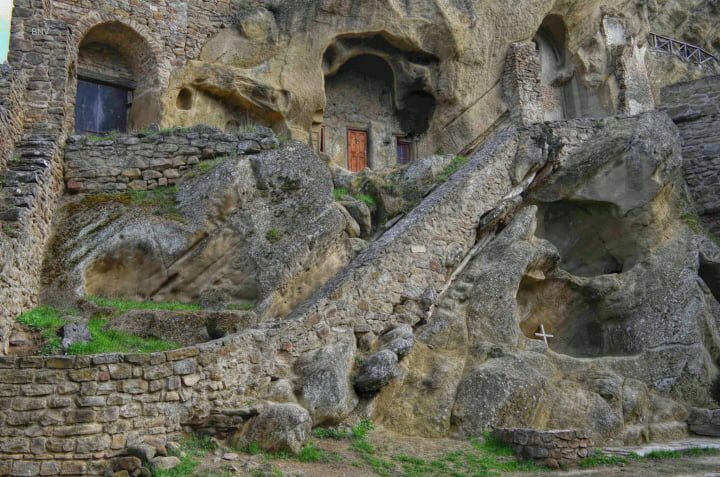 Visit the cave monastery of Davit-Davit Gareja located on the border of Georgia and Azerbaijan. Explore well known fortresses, visit medieval churches, climb towers that rise high and have an unforgettable experience! Your guide will meet you at your hotel and lead you to your car to begin the Kazbegi tour. Our guide will meet you at your hotel and lead you to your car to begin the One day Davit Gareja Tour.